Remember ACORN? It was during and after the 2008 election cycle when things weren’t looking good for the McCain ticket, and the right-wing were convinced that ACORN, (the Association of Community Organizations for Reform Now), were a subversive group with deep ties to the Obama organization for years. They alleged that there was wide-spread election fraud from ACORN operatives along with other scandals. 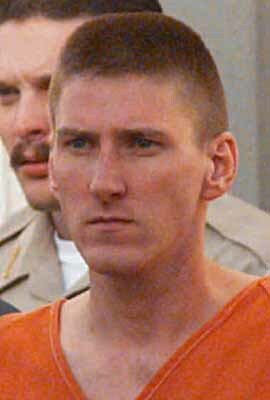 Timothy McVeigh look-alike James O’Keefe pulled his infamous and as it turned out in later Court cases, edited “under-cover” taped investigation of the organization trying to link them to fraud and prostitution. 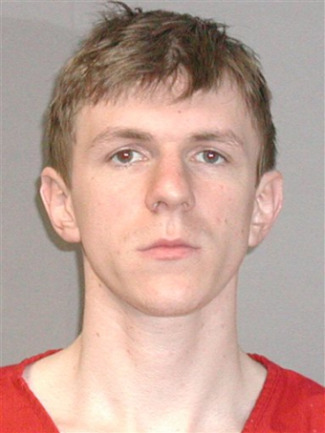 Of course it was later determined that not only were the O’Keefe tapes were an edited fraud, no criminal or ethical malfeasance was ever found and the people who were conned were all cleared of any wrongdoing. However, the backlash of this witch-hunt to shut down an organization whose sole purpose was to get eligible voters registered and active, so as to be involved in matters that affected them (can’t have that in a democracy) was so effective, the organization lost money and support and ended up shutting down. To date no criminal charges against the agency were ever proven. Despite John McCain’s claim that the group is “on the verge of maybe perpetrating one of the greatest frauds in voter history … maybe destroying the fabric of democracy.” Nothing of the sort ever came to the light of reality. It turned out to be a desperate red herring from a desperate campaign. As the clip above shows, there were never any ties of Obama with ACORN prior to or during the campaign, other than him being one of several attorneys, working with the U.S. Department of Justice in a successful 1995 lawsuit against the state of Illinois that made it easier for people to register at driver’s license offices. There were never any indications of voter fraud or election fraud committed by the ACORN agency itself. Although they had filed registration forms for obviously false applicants, it turned out that ACORN was required by law to submit all registration applications. Further, when turning these forms in, ACORN advised that they were likely fraudulent. Canvassers hired by ACORN at $8.00 an hour to collect registrations, actually perpetrated fraud against ACORN itself and were identified and terminated. Some of those canvassers were prosecuted with the assistance of ACORN. None of the “fraudulent” voter registration applicants made it to the polls due to the diligence of ACORN themselves. They identified the fraudulent voter registration forms, turned them in as required by law and the voting jurisdictions took appropriate action. No fraudulent votes for any candidate were cast as a result. As noted, voter fraud in this country is next to zero, literally. So now let us fast forward to today and what has been revealed in Florida. I bring this up because recently I had a RWNJ on Twitter boasting that the Republicans have been registering more people than the Democrats. Of course, Florida came to mind. The man may be correct, but here is the reason why. The company at the heart of this is Strategic Allied Consulting. This is shaping up to be true voter registration fraud. Unlike ACORN, there appears to have been a true orchestrated effort from people at the top to commit the fraud. Further, there is a direct link between the GOP and Strategic Allied Consulting along with links to the GOP nominee, Mitt Romney. Strategic Allied Consulting is run by long-time GOP operative Nathan Sproul. Keep in mind, the Democratic Party was never linked to ACORN. 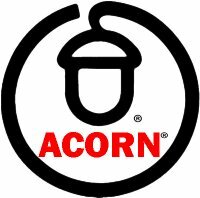 The DNC never hired ACORN to do anything or paid them anything. How do we know there is a connection between the GOP and Strategic Allied Consulting? Well for one thing, the GOP just fired them after the allegations of voter registration fraud came to light. They had been hired in five swing states (Florida, Nevada, Colorado, North Carolina and Virginia) to register Republicans. Florida is where the problems came to light and are being investigated for criminal wrong-doing. Further, there are allegations coming to the surface in the other states involved. Florida is interesting. The efforts of the Rick Scott administration to make voter registration nearly impossible and to purge voters who lean left, are legendary and beyond doubt. So much so that a recent study showed nearly no new Democratic Registrations in Florida compared to GOP. In Clay County alone, only 67 new Democrats were registered compared to 4,008 Republicans compared to 2,204 Democrats and 3,733 Republicans during the previous presidential election cycle. Strategic Allied Consulting was involved. According to electoral watchdog Brad Friedman, “A massive GOP voter registration scheme, which appears to involve the upper-echelons of the national party, [has begun] to emerge.” At the center of the controversy is Mr. Sproul, whose firm has faced allegations of questionable tactics in the past, including changing or throwing out registration form filled out by Democrats. ACORN was never accused of changing or throwing out any registration forms. Mr. Sproul has worked for a number of GOP presidential campaigns including Mitt Romney’s, who hired him last year as a consultant, despite his interstate record of alleged voter registration fraud. In 2004, his group was found to have been tricking Democrats into registering as Republicans, surreptitiously re-registering Democrats and Independents as Republicans and shredding Democratic registration forms. Despite this history, his company was given a $1.3 million from the GOP to register voters in Florida and additional money for the other states. There are currently allegations of missing social security numbers, fake addresses, and dates of births that did not match up. As mentioned earlier, as the evidence comes in, it has been so convincing, that even the GOP has fired Mr. Sproul’s firm with several days to go in these five states to register voters prior to the November election. It’s appears to be far more convincing and real than any of the allegations against ACORN. Strategic Allied Consulting did not alert officials to problems with the registrations being turned in. They are accused of throwing out non-GOP registrations instead of filing them (something ACORN was never accused of). The allegations of ACORN were only directed to those hired to fill daily quotas. There are reports that the canvassers for Strategic Allied Consulting were doing this at the instructions of the upper echelons of the company to included GOP operative Mr. Sproul. ACORN was never linked directly with the Democratic Party, they were community based. Elections can be stolen. But they can only be stolen if the race is close. To keep the race close you need to suppress votes, either by caging, purging or hiring people to only get your people registered, not the ones likely to vote for your opponent. And of course enacting voter ID laws that disproportionately affect your opponent’s likely voters is also a good way. The GOP is trying everything this year. Thankfully due to Mitt Romney’s poor campaigning, the race isn’t as close as it needs to be. However, you need to still register, make sure you are registered, then get out and vote no matter what. Oh, and make sure everyone else does to. This cannot be close. UPDATE: This young woman was working for Stategic Allied Consulting in Colorado following their script and instructions. Now that this clip has been released, she was fired for doing what she was told to do. This group doesn’t want the majority of people voting in this country because that is the only way the Republicans can win.